The first article for compound interest was all about the basics and essentially explained the compount interest formula. In this article, we use compound interest examples in order to understand important concepts and applications related to Compound Interest. What all do we cover in this compound interest examples article? How does the concept of equal installments work for Compound interests? Well, in this case, the problem basically tells us that a certain sum of money is borrowed on compound interest for a certain period and it is returned with the help of equal installments. Let us derive a formula where the amount is returned in two equal installments for a time period of two years. 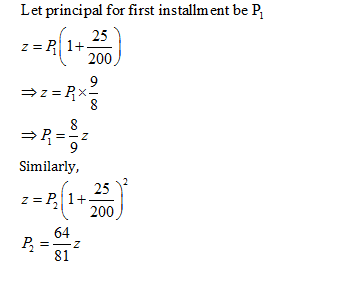 Assume P to be the principal and r the rate of interest. Now the interest charged will be charged on this amount. 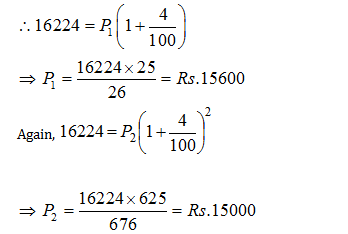 Step 4: Since the installments are equal, this new amount has to be equal to X.
where X is the installment and n refers to the number of installments. Compound Interest Examples: Let’s solve an example question to understand the compound interest questions. 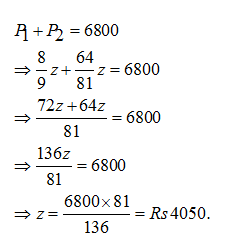 Question-1: Richa borrowed a sum of Rs. 4800 from Ankita as a loan. She promised Ankita that she will pay it back in two equal installments.If the rate of Interest be 5% per annum compounded annually, find the amount of each installment. So, we have here two equal installments. Compound Interest Examples: Use of Compound Interest for concepts of population growth. We study two compound interest examples in this section where we study the concept of population growth. These are particular types of compound interest problems and we are going to explain how you approach these questions. Let’s take up one case at a time and then take up some compound interest examples questions to understand these concepts. 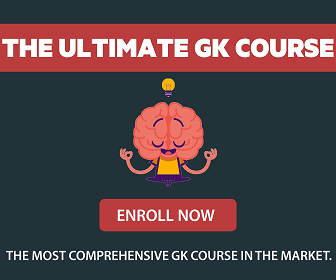 In fact, this is nothing else but an application of the fundamentals of compound interest. Example 2:The population of Chandigarh is increasing at a rate of 4% per annum. The population of Chandigarh is 450000, find the population in 3 years hence. Let us take an example for this concept. 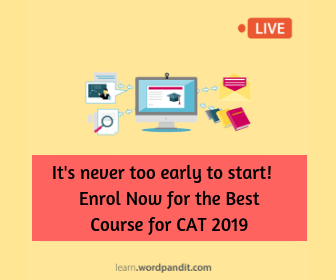 Example 3:The population of Chandigarh increased at a rate of 1% for first year, the rate for second year is 2%, and for third year, it is 3%. Then what will be the population after 3 years if present population of Chandigarh is 45000? Example 4:The population of Chandigarh is increases at a rate of 1% for first year, it decreases at the rate of 2% for the second year and for third year it again increases at the rate of 3%. Then what will be the population after 3 years if present population of Chandigarh is 45000? The rate growth of population increases, then decreases for the second year and again it increases for third year. This completest the section on population growth problems. Hope with the help of above compound interest examples, you have been able to understand how these problems need to be approached. Let P be the original amount. Let P1 be the new amount at the end of t years. Here R is the rate of interest (negative rate). Always remember, the rate of depreciation is nothing else but negative rate of interest. 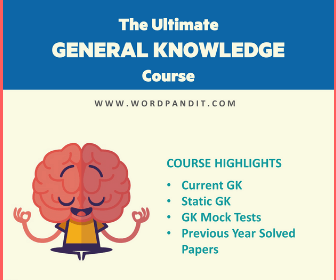 In order to understand the concepts mentioned above, it is best to practice some questions on compound interest and understand the applications for this topic. Solve five compound interest examples and perfect your learning. Question 1: A builder borrows Rs. 2550 to be paid back with compound in­terest at the rate of 4% per an­num by the end of 2 years in two equal yearly installments. How much will each installment be? Concept used in this question is: you need to calculate principal for every year unlike simple interest where principal used to be same for every year. Let principal (present worth) for first year be P1 and that for two years be P2. = Rs. (16224 + 15600 + 15000) = Rs. 46824. Let the annual installment be Rs. z. Question 4: The population of Chandigarh is increases at a rate of 1% for first year, it decreases at the rate of 4% for the second year and for third year it again increases at the rate of 5%. Then what will be the population after 3 years if present population of Chandigarh is 50000. Question 5: A person bought a new machine. The value of the machine is Rs. 10000. If rate of depreciation is 5 % per annum, then what will be the value of the machine after 2 years? 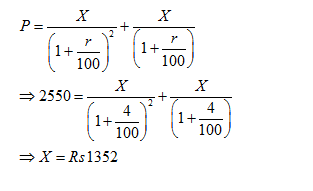 Step 4:Since the installments are equal, this new amount has to be equal to X. Here not that the term in the second bracket i.e. 1+r/100 is multiplied with P(1+r/100) term of the 1 bracket resulting in P (1+r/100)^ while there should not be square bracket after P in step 4 after while solving, though its a small punctuation error and the correct form can be easily picked by further steps!